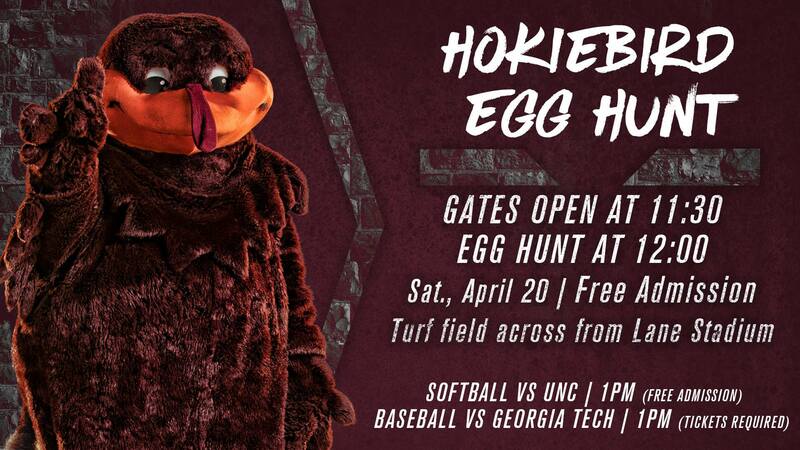 Virginia Tech Athletics presents 2019 HokieBird Egg Hunt on Saturday, April 20, 2019 at the Moseley Turf Field in front of Thompson Field and across from Lane Stadium on the campus of Virginia Tech. 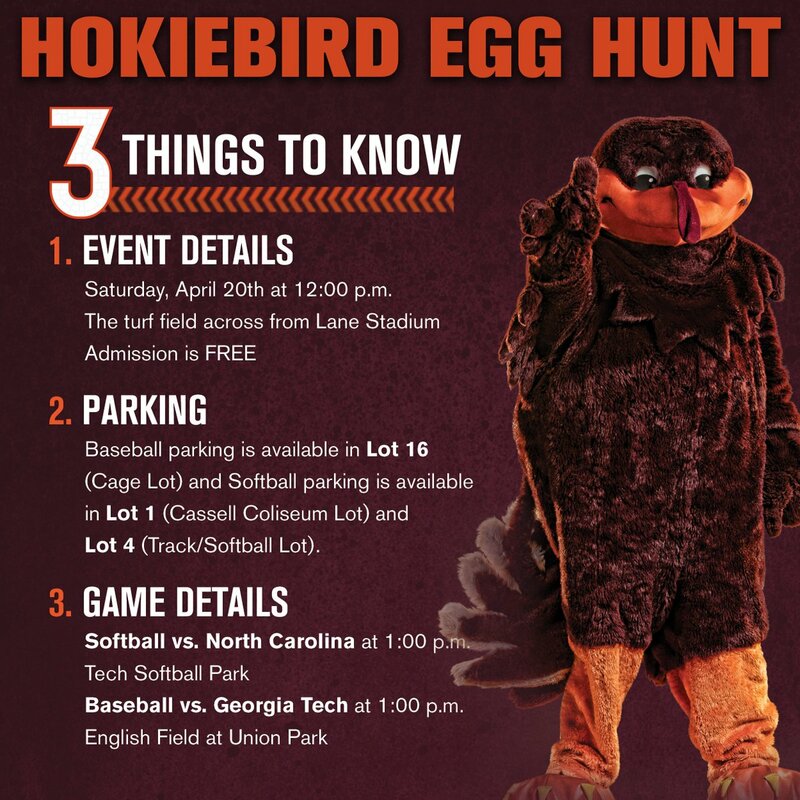 Join the HokieBird for an Egg Hunt. There is only one Egg Hunt however organizers try to arrange the smaller kids in one area so they have a better opportunity to find eggs. The HokieBird will be in attendance for pictures until the conclusion of the hunt. Note: Do pay attention to Virginia Tech's social media accounts in case of inclement weather and for updates. Virginia Tech Softball hosts UNC at 1:00 pm and Virginia Tech Baseball host Georgia Tech at 1:00 pm. To view the event flyers, visit: https://i.imgur.com/AO5d6gR.jpg or https://i.imgur.com/4gxIftB.jpg. For more information, visit: https://twitter.com/HokiesMKTG or https://www.facebook.com/hokiesports or https://www.facebook.com/events/2311209589157865/.